Reliability and efficiency are essential to a competitive energy industry. Electricity production from renewable energies such as wind and sun is continuously increasing. The combination of their fluctuating generation and priority feed-in is resulting in new operating modes for conventional power plants. 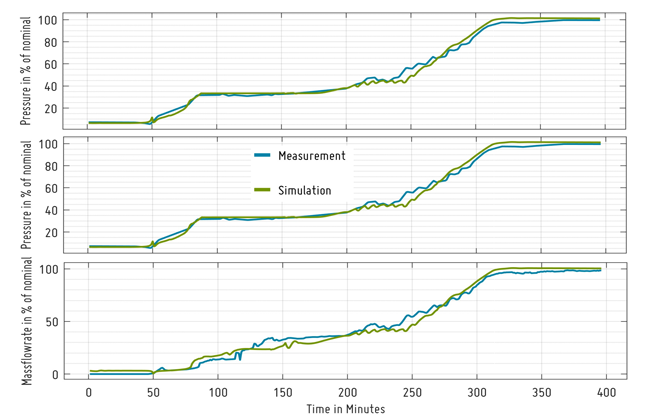 Dynamic system simulation can be used in all project phases, from early design up to optimization during operation, to solve problems arising from this changing energy market in a cost-efficient manner. The modular model structure enables fast, efficient concept and parameter studies. Use your ClaRa+ digital twin for early adaptation and optimization of control systems. Tailor-made model detailing enables preliminary studies, component design and precise controller parameterization. ClaRa+ enables you to analyze interactions between different power units, even in isolated networks. ClaRa+ contains state-of-the-art control system blocks that are closely based on hardware implementations. ClaRa+ is easy to enhance. Die ClaRa+ models incorporate the dynamics of power plant components. Analyze failures and special operating conditions without risk. 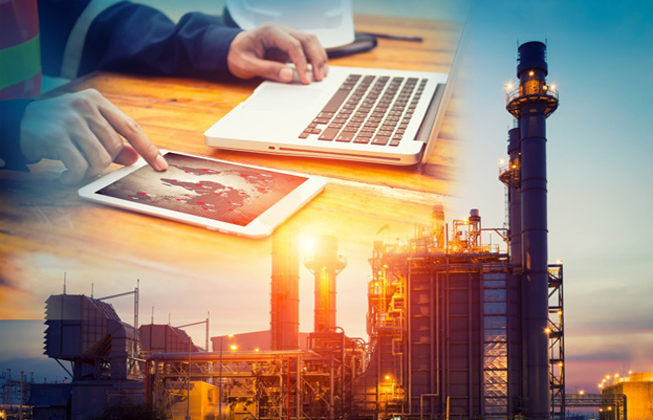 Create a digital twin of your power plant, investigate transient behavior and gain greater understanding to optimize your processes for use in the future energy market. 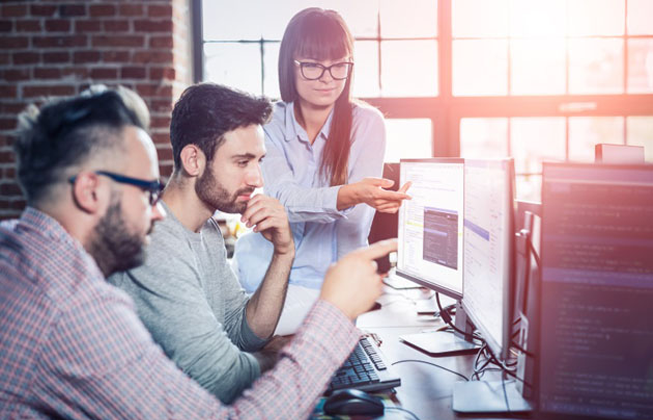 Use ClaRa+ to support all project phases—from evaluation of concept variants to component design, optimization of control technology, virtual commissioning and optimization during operation. ClaRa+ enables you to analyze natural and forced circulation boilers as well as once-through boilers. 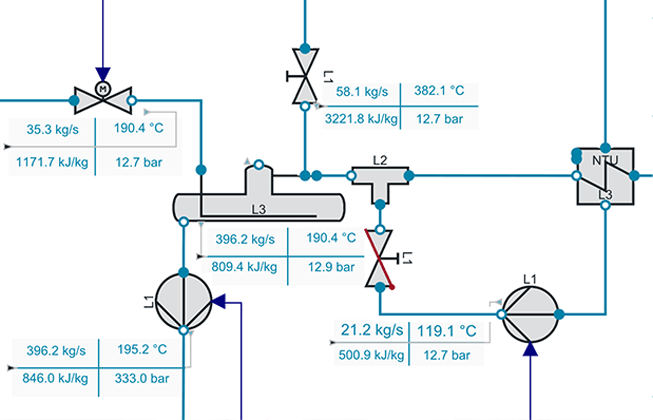 Improve your control design by implementing in-depth, simulation-supported knowledge of fuel preparation, combustion and fault propagation. 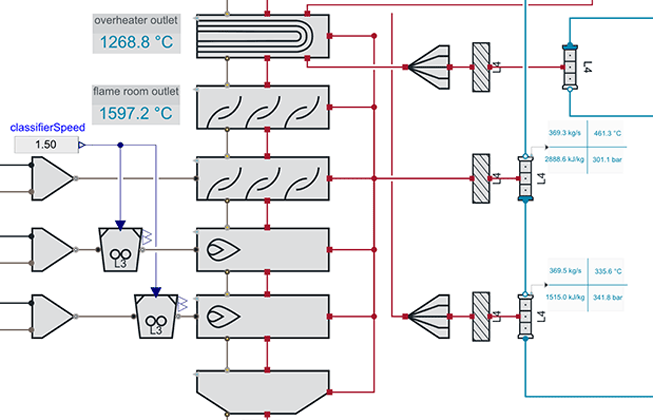 ClaRa+ allows you to design and analyze extensive preheating sections and to consider all relevant storage tanks (condenser, feed water tank, atmospheric storage). ClaRa+ allows you to analyze process efficiencies under transient conditions and partial loads. The models provided by ClaRa+ allow for detailed and precise analysis of process transients. ClaRa+ supports you with prequalification for primary and secondary control services. ClaRa+ helps you safely control failures of aggregates such as pumps, fans, turbines and mills. ClaRa+ helps you design tanks (drum, storage tank, feed water tank) and quick-closing valves while taking into account extremely dynamic operating conditions. ClaRa+ enables stability analyses and optimization of control systems. ClaRa+ allows for safety-related evaluations of step sequences in the event of a malfunction. ClaRa+ allows for safe analysis of potentially dangerous or component-damaging operating conditions. ClaRa+ helps you avoid cavitation in pumps and evaporation in liquid lines—by constructive means or intelligent control. ClaRa+ makes it possible to consider all relevant process limits as well as the operating limits of components and aggregates in interaction. 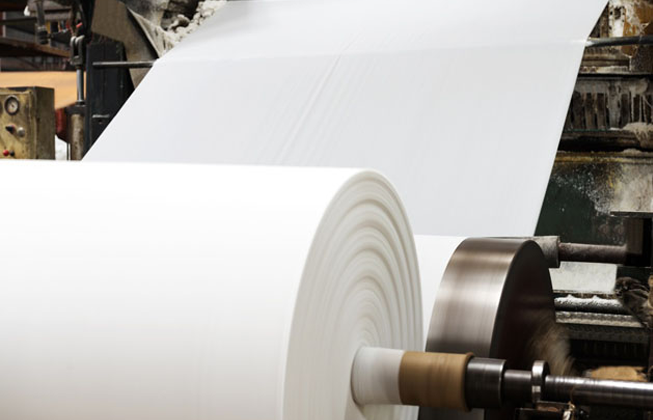 Improve the reliability and efficiency of your production site. ClaRa+ enables global performance analysis of transmission networks. Optimize your site's power consumption and energy costs. ClaRa+ supports the analysis of power plants under consideration of connected electric grids and district heating. 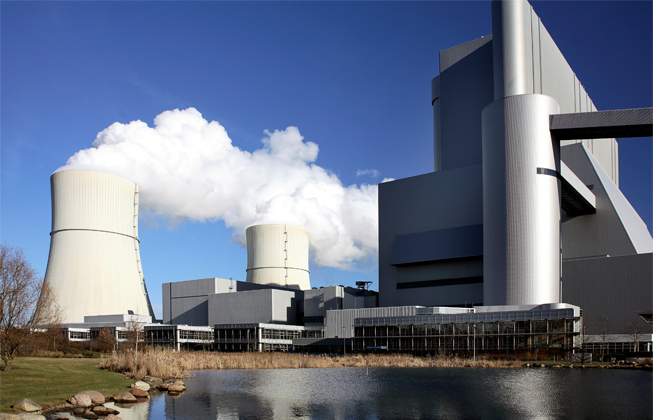 Optimize your power plant site with focus on changed market situations. The models are qualified and validated using both isolated component testers and using connected overall models. The developers work closely together with users from the industry and scientists. 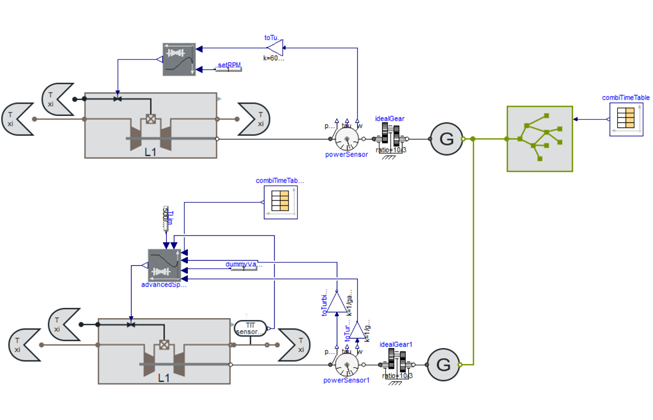 Source: University of Duisburg-Essen, Chair of Environmental Process Engineering and Plant Design, diagram accepted for publishing at the Modelica Conference 2015, Paris. 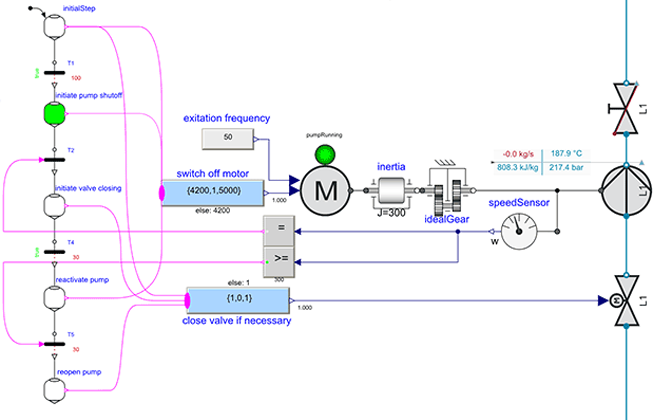 ClaRa+ is a library of power plant components programmed in the Modelica model description language. It enables users to dynamically simulate power plants and answer current questions concerning power plant operation. Dymola software is used for translation and simulation and as the main development environment. Are you interested in our product? Write us an e-mail. We would be happy to provide you with information. Would you like to test our product? You can download a demo version of ClaRa+ that has a reduced scope. As experts in modeling and simulating power plants and complex energy systems, we would be pleased to help you answer your questions. Entrust us with your problems, we will find a solution. You will save license fees and we can start solving your problem directly and competently. Concept studies and concept evaluations. Design and optimization of control systems. 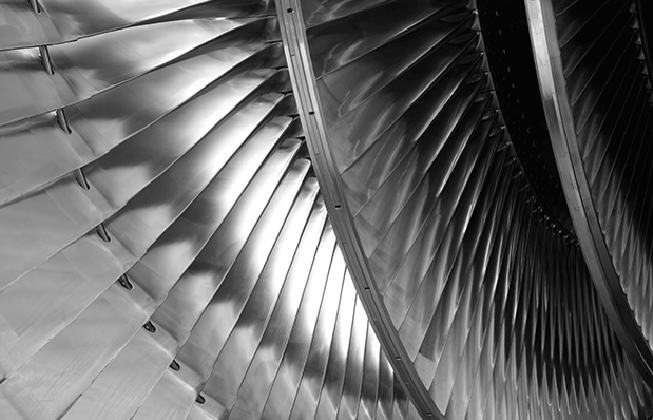 Become an expert in power plant simulation with a three-day course. Get to know the scope of ClaRa+. 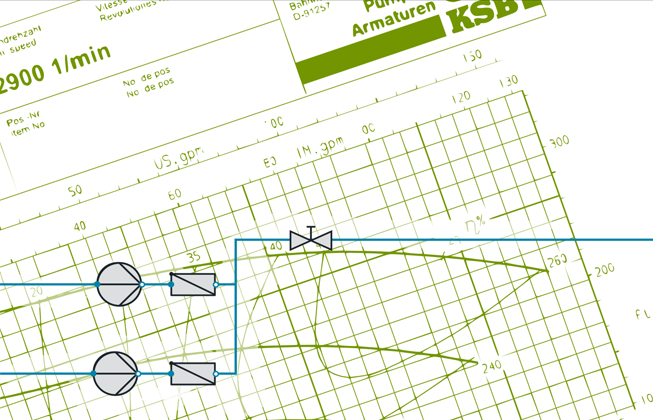 Create a dynamic power plant model as an example. 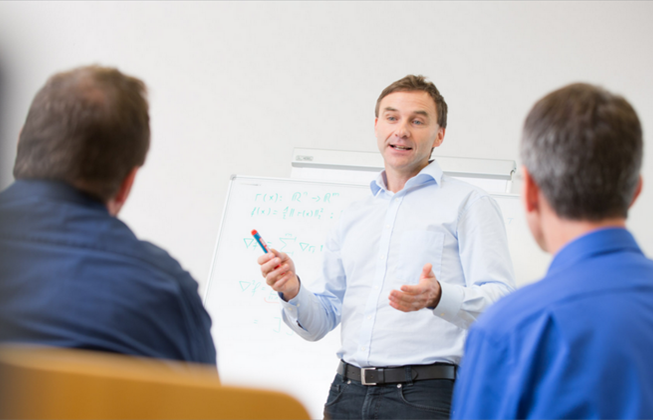 On request, we can adapt course content to your needs and train you at your premises. 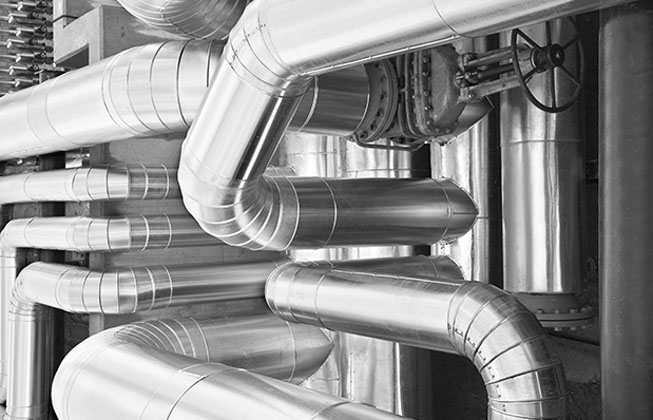 We model and implement the steam generators, heat exchangers, pumps, valves and controllers installed at your site. We calibrate and parameterize models according to data sheets or measurements. Get help at short notice. Benefit from our further developments. We assist you with your projects in an advisory capacity. Are you interested in our services? Write us an e-mail. We would be pleased to provide you with information. 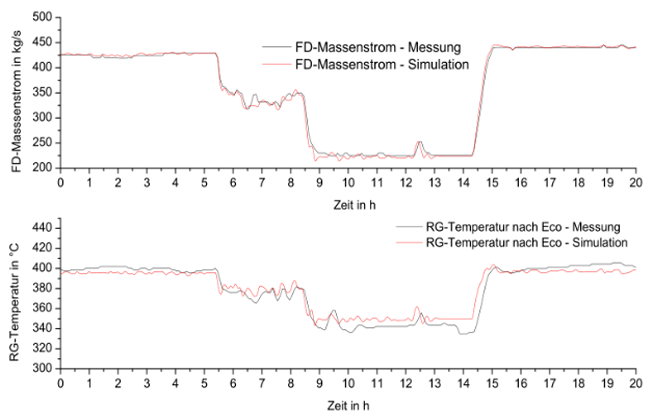 XRG Simulation GmbH and TLK-Thermo GmbH offer training and support packages that enable you to start modeling power plant processes with ClaRa/ClaRa+. The next training course will take place in Hamburg from May 8-10, 2019. 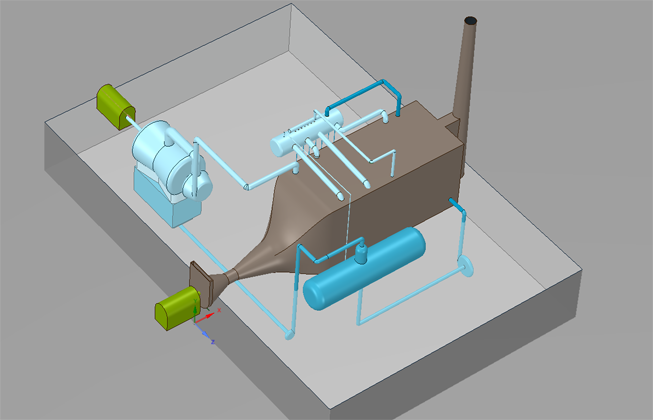 In this project a detailed model of the 'Schwarze Pumpe' power plant was created with ClaRa. This model included the entire water-steam cycle, the flue gas and air path, the coal mills and a digital image of the control technology. 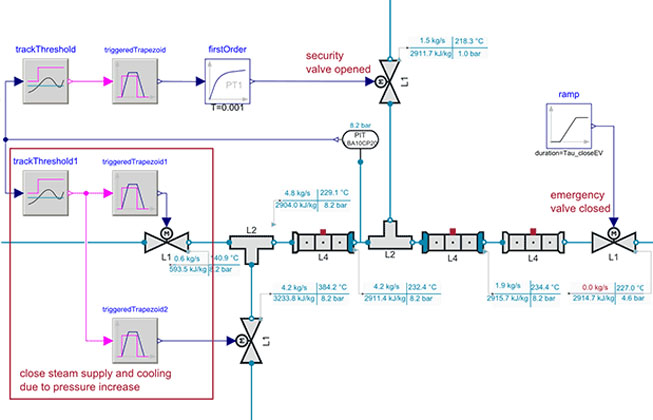 It enabled the rapid analysis and evaluation of control and process engineering changes, such as increased load change gradients, optimized controller parameterization in partial load or increased provision of control power. The ClaRa software was successfully deployed in the Horizon 2020 project sCO2-HeRo for component design and transient system analysis. The objective of the project was to develop a technology based on a sCO2 simple Brayton cycle that safely, reliably and efficiently removes residual heat from nuclear fuel without the requirement of external power sources, making it an excellent backup cooling system for the reactor core in the case of a station blackout and loss of ultimate heat sink. Ales Vojacek, CVR: "With the ClaRa I have designed a finned-tube air-CO2 heat exchanger fast and efficiently and could right afterwards evaluate its transient behaviour in the total system." In this ongoing research project, ClaRa is used to simulate the dynamic behavior of coal-fired power plants with carbon dioxide capture. The main focus of the research project is the development, optimization and testing of new control concepts for a low load range, start-up and shutdown. 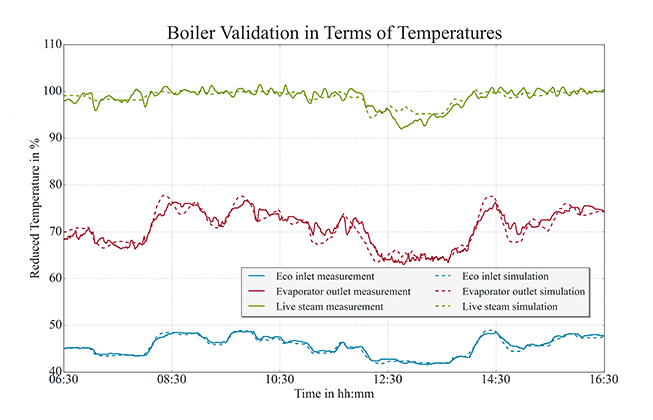 For this purpose, models of existing power plants are created and validated with measured data. Due to the multi-domain capability of the software, the power plant, the carbon dioxide capture plant and the control system are modelled with the help of ClaRa and tested in interaction. Project partners: Technical University Hamburg-Harburg, Vattenfall AB, EnBW Kraftwerke AG, Uniper, TLK-Thermo, XRG-Simulation. 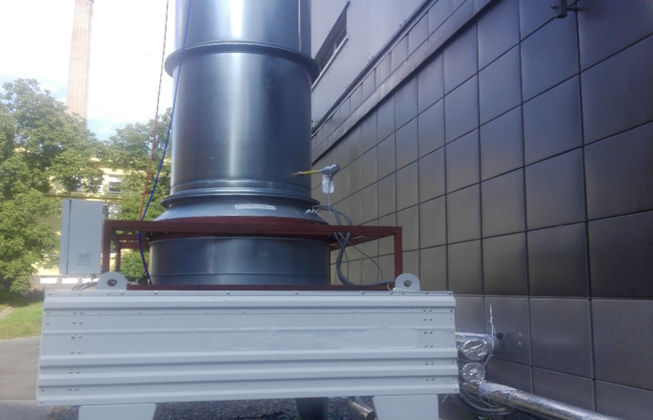 The aim of this research project was to investigate the dynamic behavior of coal-fired power plants with carbon dioxide capture and to identify the potential for providing control energy. Power plant models were built within the ClaRa environment, validated with measured data and coupled with a post-combustion plant model. These models were used to optimize operation, identify critical interfaces and develop concepts for the supply of control energy through the utilization of process memories. Project partners: Technical University Hamburg-Harburg, Vattenfall AB, EnBW Kraftwerke AG, E.On Energie AG, TLK-Thermo, XRG-Simulation. The free demo version ClaRa gives a good overview of the possibilities of power plant simulation and enables conceptional studies. The commercial version ClaRa+ offers extra content, is more user-friendly and supports the component design due to precise detail models. For translation, simulation and as a main development environment, we recommend commercial software Dymola. Do you have any questions about ClaRa+ about the free ClaRa or about our services? Send us an email. We would be pleased to provide information. TLK does not guarantee the correctness, completeness or quality of the information provided. TLK cannot take responsibility regarding damage caused by the use of any information provided, including any kind of information which is incomplete or incorrect. Liability claims will therefore be rejected. All offers are not-binding and without obligation. Parts of the pages or the complete publication including all offers and information might be extended, changed or partly or completely deleted by TLK without notice. TLK is not responsible for any contents linked or referred to from his pages - unless the author has full knowledge of illegal contents and would be able to prevent the visitors of his site from viewing those pages. If any damage occurs by the use of information presented there, only the author of the respective pages might be liable, not the one who has linked to these pages. Furthermore the author is not liable for any postings or messages published by users of discussion boards, guestbooks or mailinglists provided on his page. TLK intends not to use any copyrighted material for the publication or, if not possible, to indicate the copyright of the respective object. The copyright for any material created by the author is reserved. Any duplication or use of objects such as diagrams, sounds or texts in other electronic or printed publications is not permitted without the author's agreement. We take the protection of personal data very seriously. With this data protection declaration and in accordance with the Federal Data Protection Act and the German Teleservices Act, we would like to inform you when and why we store which data and how we use them. Personal data are information that can be used to determine your identity. This includes information such as your real name, postal address, e-mail address or telephone number. Information that is not directly associated with your real identity (such as statistical data such as the number of visitors to a page in the last month) is not included. You can use our websites without disclosing your identity. If personal data (for example name or e-mail addresses) is collected on our website, this is always done on a voluntary basis. This data will not be passed on to third parties without your explicit permission. We adhere to the principles of data avoidance and data economy. We therefore only store your personal data for as long as absolutely necessary or as provided for by law. If you contact us through the contact options offered, your details will be stored so that they can be used to process and answer your enquiry. This data will not be passed on to third parties without your consent. In combination with your access to our websites, data is stored as "server log files" for backup purposes, which may allow identification. These protocols include data such as the IP address, date and time of access, page accessed, browser type and operating system, referring website from which you accessed our site. These collected data are used exclusively for anonymous statistical evaluation and to improve our website offer. No personal utilization takes place. However, we reserve the right to check the server log files subsequently if there are any concrete indications of illegal use. Our website uses SSL encryption for security reasons and to protect the transmission of confidential content, such as requests you send to us as a site operator. You can recognize an encrypted connection by the fact that the address line of the browser begins with "https://" and usually by the lock symbol in your browser line. If SSL encryption is activated, the data you transmit to us cannot be read by third parties. You have the right to free information about your stored personal data, its origin and recipients and the purpose of data processing as well as a right to correction, blocking or deletion of this data at any time, unless we are required by law to store this data for tax or accounting purposes, for example. After the respective purpose or expiry of these periods, the corresponding data will be blocked or deleted as a matter of routine and in accordance with statutory regulations. For this, as well as for further questions on the subject of personal data, you can contact us at any time under the contact data given in the imprint section. Our website contains links to other websites. We have no influence on whether their operators comply with the data protection regulations. Please fill out the following form. You will receive an e-mail containing a valid download link for the library. If you do not receive an e-mail after a few minutes, please check if the e-mail has been placed in your spam folder. Yes, I want to subscribe to the ClaRa newsletter. With this registration I agree to be informed by TLK Thermo GmbH and XRG Simulation GmbH about specific news on ClaRa or power plant simulation. The named companies will use my data for this purpose only. They will not forward the data to third parties. I am aware that I can withdraw from this agreement at any time by sending a short notice either to newsletter@claralib.com or to one of TLK-Thermo GmbH, Hans-Sommer-Str. 5, 38106 Braunschweig, Germany and XRG Simulation GmbH, Harburger Schlossstraße 6-12, 21079 Hamburg, Germany. The link generated for you to download the library expires after 3 days and is then deleted. If you have not registered for the newsletter, your given details from this form will also be deleted.